Luke Wood, our resident Lycra-wearing Assistant Manager and Personal Trainer at Surry Hills has competed in multiple bodybuilding competitions over the years and is now competing on the world stage in Barcelona for the Arnold Classic 2017 on September 22. In August, Luke won the NSW IFBB Australia Men’s Physique and was overall Champion. 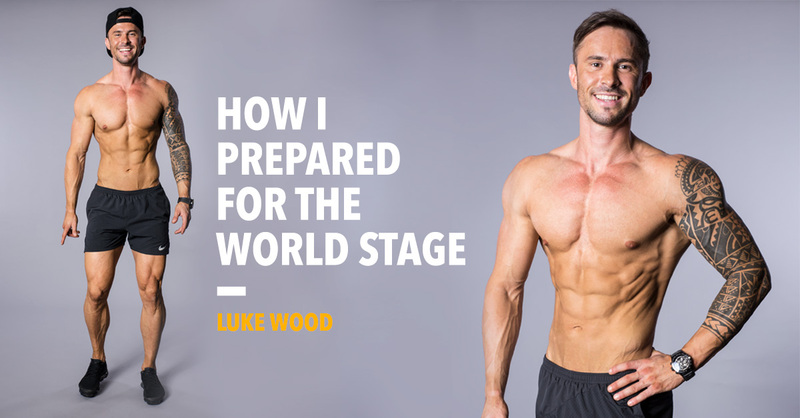 We sat down with Luke to talk about his tips on how he got into world-class shape, from training, to nutrition, to motivation. Clint: Often when we mention ‘body building’ people automatically think of a huge and ripped man, like Mr. Olympia. For those people who aren’t familiar with bodybuilding, tell us about the competition that you competed in and the defining factors of your category? Luke: What I compete in is called Fitness Modelling, so it’s deemed as a physique that’s more obtainable compared to some of the bigger boys that do body building. It’s still a type of bodybuilding but not as big of a scale. You can also say it’s to do with fashion as well. The Men’s Physique Category in IFBB is about conditioning, what you bring on the day and muscle maturity as well as how you present yourself on stage. There’s still a tan involved and is about representation. Clint: How long was your prep and what were your bodybuilding training phases like? Luke: My prep was about 6 months and probably the longest prep I’ve ever done. The training itself is based on 6-8 weeks and based on full body workouts. My coach (Rawdon Dubois from Redfern Lift Performance Gym) has given me full body workouts focusing on my weak points and my body responds very well to that. Of course everybody is different. For example, in Men’s Physique you need to have broader shoulders, a bigger back and a fuller chest as well working on a small waist. Working within proportions is important. 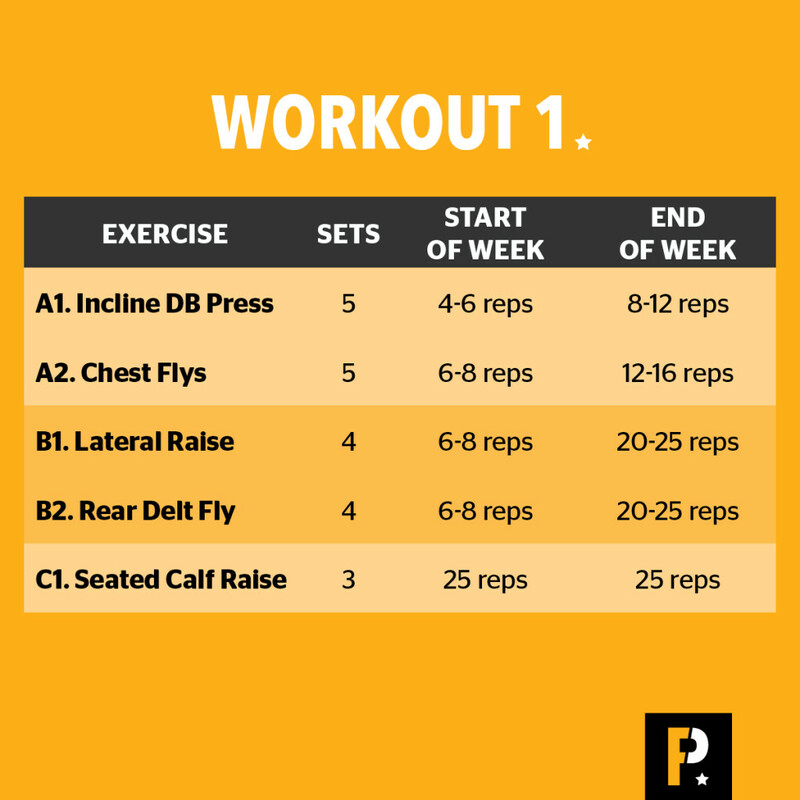 Try this example of a bodybuilding program which consists of two workouts that alternate throughout the week and is based on 6-8 week phase. 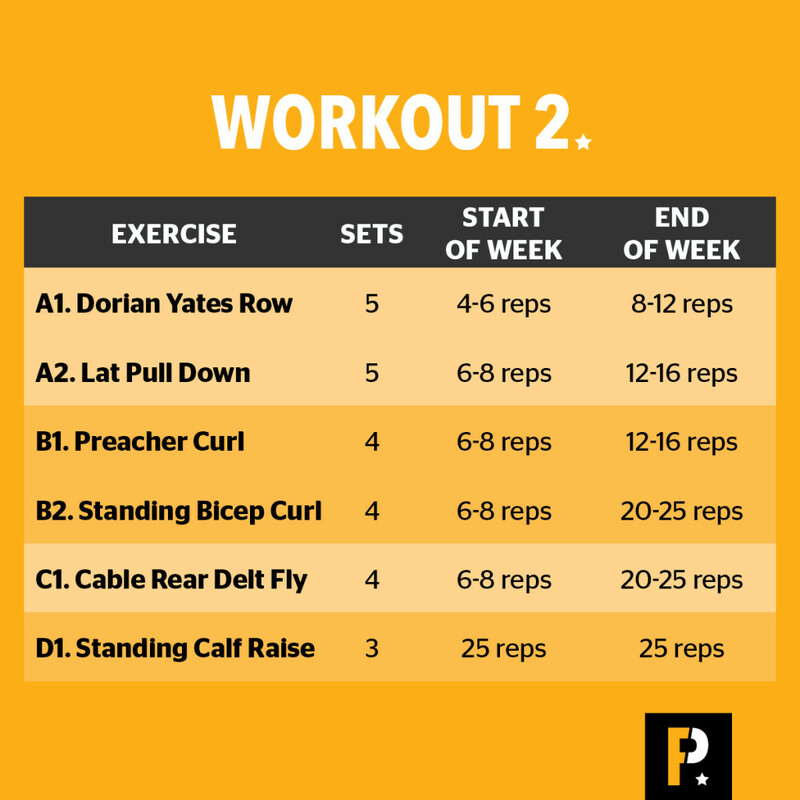 The training changes throughout the week with lower reps at the start of the week then moving to higher reps at the end of the week which involves working on strength and volume. It becomes more cardio based as well if you’re busting out 25 reps for 5 sets at the end of the week. Throughout the week it’s not all about heavy weights, it’s about the higher reps and getting as much blood into the muscle. It’s all down to the mind to muscle connection and muscle maturity. I understand you’re not going to have mind to muscle connection straight away. It’s about building the muscle up. It’s hard to describe what that feeling is but it’s essentially getting as much blood into the muscle, overloading the muscle until you can’t go anymore but sometimes you have to go past that point, work in the extra reps and that’s where it makes the difference. You have to drive past that pain and that’s what’s going to really count. Build that muscle, tear it as well and create that scar tissue to make the muscle bigger. Clint: What was food like for you around training? Carbs is always based around training and when I go to sleep as well. Leading up to the show in September, they’re trying to fill me up as much as possible. Cherries, blueberries or peanut butter. Typically per meal I’d be having around 150-200g of protein. I can either have chicken, fish or kangaroo. You’re looking at around 6 meals a day. Your body is in a catabolic state so you need that protein to be keeping that body refreshed. Protein is my staple to build the muscle mass and glucose is the primary energy source to spike the insulin levels after the workout. I have my fats from my meats, for example my pork but I’ll have a little bit of peanut butter before I go to bed and a little bit before I wake up as well. It started at about 5000 calories and it slowly comes down. Coming up to the show, we wanted to shock the body and we brought it down to about 1800 calories. This helps draw the water out. There’ll be no carbs coming up to the show, but a lot of fish, chicken and lean meats and vegetables (like asparagus, celery, anything that will help flush excess water out). What would you be eating now in the lead up to the Arnolds? Run us through what your typical day would look like at the moment. At the moment it’s around about 3800-4000 calories. Clint: Have you got any tips for that last little 1% to get that tight, vascular look just before the comp? Luke: You’re referring to what’s called the ‘peak week’. It’s all about tricking the body with water but also carb loading. Peak week is absolutely useless if you’re not actually down to that body fat that you want. People think that peak week is going to be a magical trick but you have to be down to a certain condition for it to actually work. Why is it considered a peak week? Everyone has a different protocol for peak week. Most of the week you’re eating lean meats and vegetables (like asparagus, celery and cucumber) to help drive out that excess water. It’s an expensive week as you’re eating 1kg a meat a day and close to 1500 calories. As you come up to the show that’s when you start carb loading but at the start of the week you start with about 7-8L with 1g of pink salt a day and progressively bring it down throughout the week. By Thursday you’re looking at 2-3L and that’s when you start carb loading. The night before – you’ll have your diuretics like a red or white wine (for me a love my vodka) and again it’s flushing out the excess water. And down the line root tablets or vitamin C to bring out that extra vascularity if you’re going to do a shoot or a competition or if you just want to look shredded for the holiday! Luke: Being in the gym for all this time I wanted to do something related to the cause, I have to have that end goal because if I don’t I won’t be able to motivate myself. But I’ve always wanted to do competitions – I know it sounds very cliché but I grew up with Arnold Schwarzenegger, watching terminator and I’m like “f*** I want to look like these guys”. So I started looking into it little bit more and into the fitness world. I started looking at Rob Riches, and Greg Plitt and these are the guys that sort of motivated me and got me into the fitness world and it’s gone from there. Luke: I definitely recommend going to see a personal trainer or coach who knows what they’re talking about. Supplementation, nutrition and training teamed together are really essential. When I was back in Leeds, I used to play rugby union and I use to go to the gym everyday and thought I’m going to get big and swell… but I got fat. You think you’re going to get bigger and more cut but it’s not going to happen. You need to have that outside knowledge to help you get what you want and get there faster, otherwise you’re wasting time. It’s a really good learning curve to have personal trainers and coaches to help you because you’re going to achieve your goals and learn more.